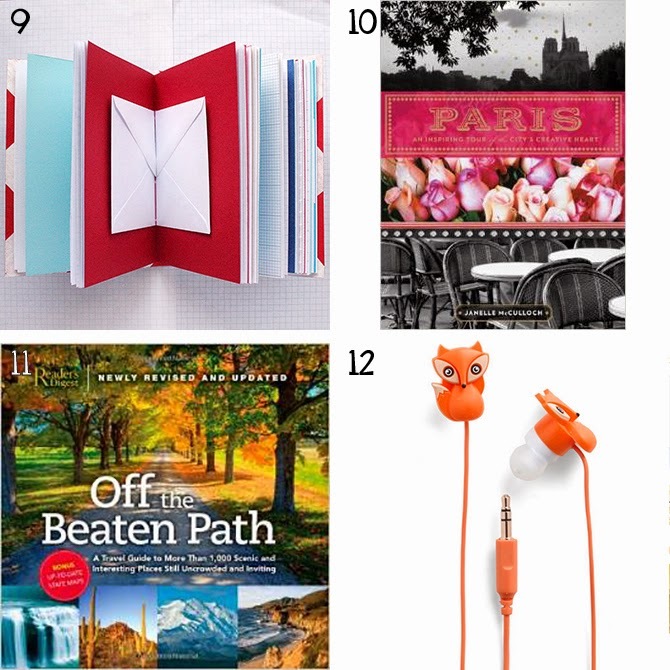 Browse all gift guides here. + If you have a chance, take a look around their home or personal space. For example - if you're purchasing for a coworker, this could be how someone decorates their cubicle. Take a note of their style (realistic vs. cartoony, photographs, themes) and color preferences. + If you don't have a chance to visit, think about their interests and how they style themselves. 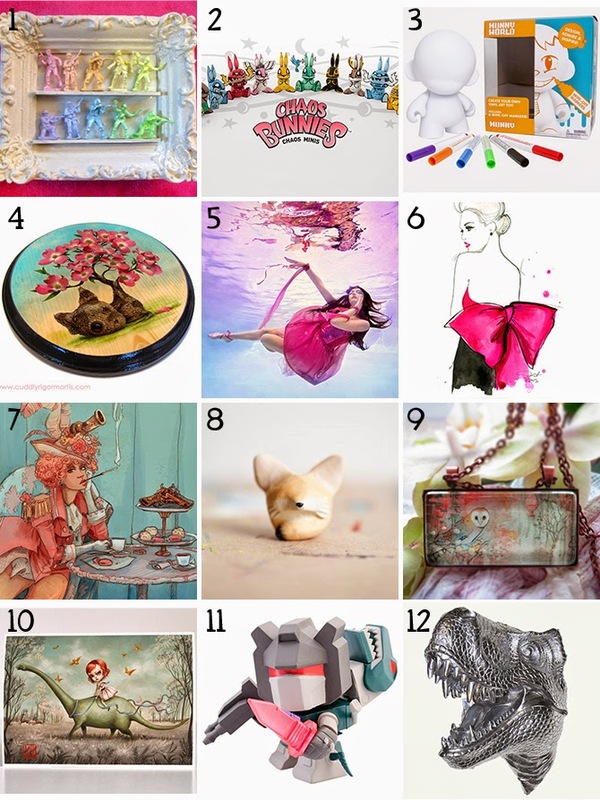 Someone who loves high fashion might be into illustrations like #6, while a dinosaur-lover might like #10 or #12. A girl with pink hair would be chuffed to get an illustration of a pink-haired girl. + If in doubt, get a figurine. They're small and unobstrusive and they can always be used to brighten up a work space if it doesn't fit your recipient's home decor. + Don't be afraid! I've gotten art I loved and art that wasn't exactly my taste, but I always appreciate it. Art is such a personal gift and any art/toy collector will appreciate that you noticed their collection and wanted to add a piece to it. It helps add nostalgic value to their collection as well, knowing someone picked out this piece for them. Being a dessert-lover myself, I barely had to do any searches to find these delicious goodies! 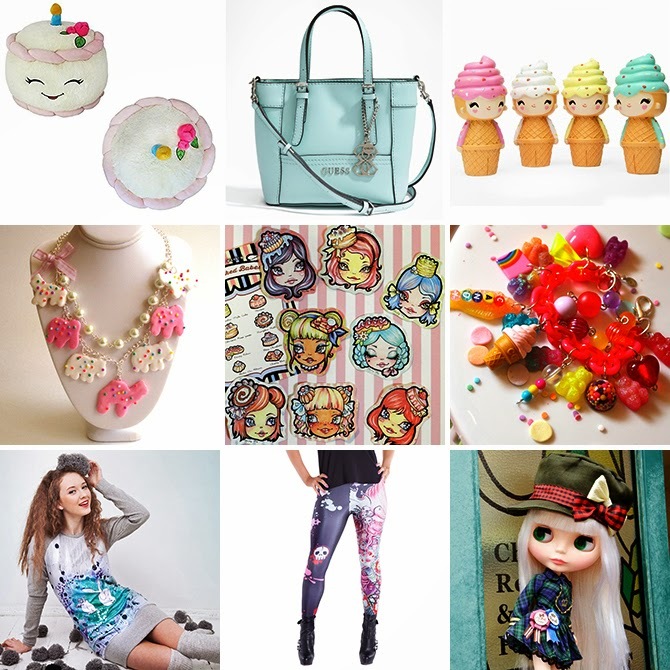 Lots of scrumptious sweets and sweet-inspired goods. For that friend who wears kigurumi pajamas and has a sizeable Hello Kitty collection! 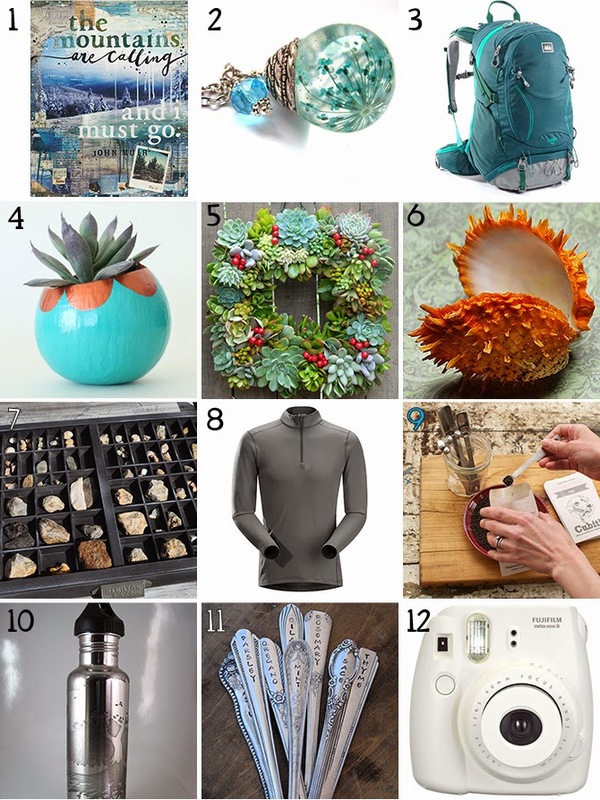 This guide was easy to put together, since these are all things I'd love to get as a gift or stocking stuffer! 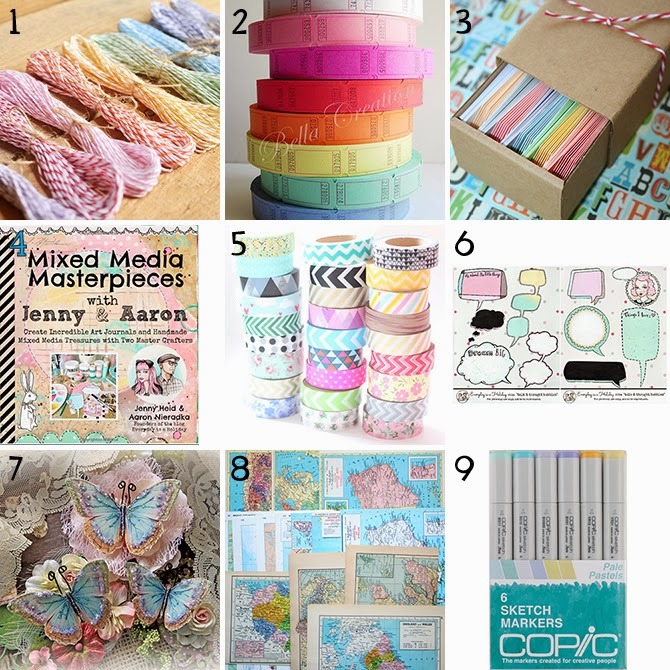 :) If I were shopping for someone who loved paper crafting, I'd grab a mix of goodies like the ones below and present them in a little basket or useful container of some sort. Ju.Ju.Be actually makes bags for parents, but even for those who aren't parents, these backs rock! I have one of these in a different (now retired) print and get compliments on it all of the time. Super functional - lots of space and slots for everything you need. I always use it as my carry-on for traveling. Tokidoki has a lot more awesome bags too that would be ideal to bring when traveling. This cute bag is the perfect weekender bag size - just enough room for a pair of shoes, a few outfits, and a makeup pouch! This gorgeous hard case luggage is made to fit within TSA approved carryon dimensions. This classy, sturdy bag would make a great gift for a male traveler with classic style. 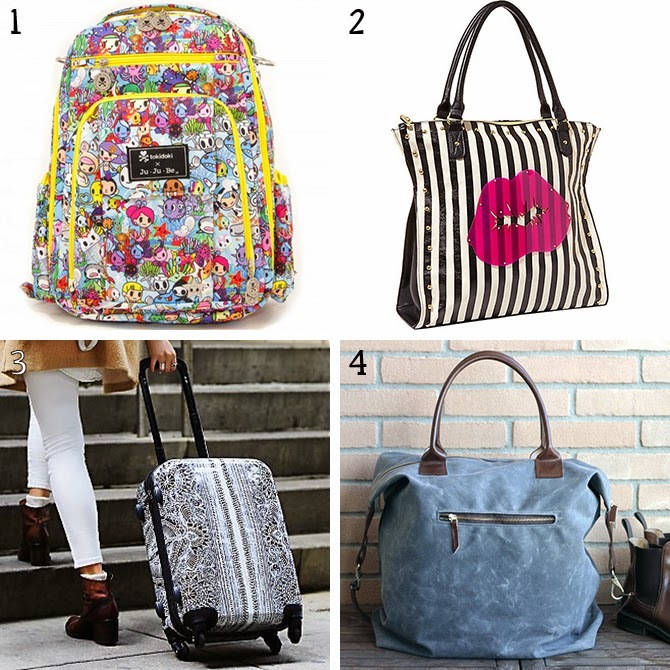 These travel bags are brilliant! One for laundry, one for underwear, and another for shoes. All clearly marked. I need a set of these for inside my suitcase. I have one of these jewelry cases - they have three big compartments for keeping jewelry pieces safe while traveling. I have one of these - Papaya! Art's beautiful, signature pieces are bold and noticeable! This pretty case holds a passport and a few cards (ID, metro card, credit cards). Great for stylish international travelers. These gorgeous travel journals (more here) are handmade with a variety of papers and envelopes. They come in a miniature size - perfect for bringing on travels. Tal bought me this book last year - it's full of pretty photographs and information on little secret spots throughout Paris. This book is great for U.S. road trippers - it's sorted by state and including maps and info about less well-traveled spots throughout the country. These small, adorable earbuds would make listening to music on the plane just a little more fun. 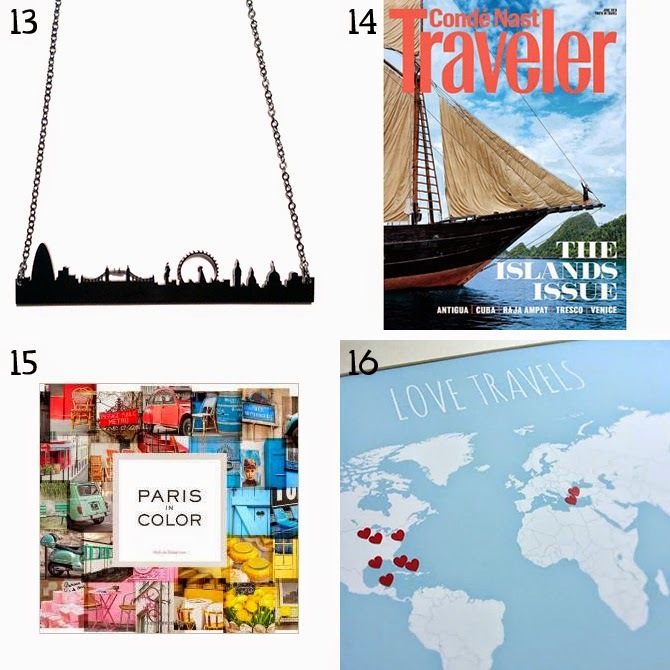 The magazine for the voracious traveler. This beautiful photography book would make a lovely gift for someone who dreams of Paris. This pretty kit comes with an 11x14" world map print and a set of heart stickers that can be used to track cities visited. There's also a U.S. map available. I'm a partial nerd (former gamer) dating a full nerd. Both of us have plenty of friends and family who are nerdy in their own ways too, so looking for nerdy gifts is commonplace around birthdays and the holidays! 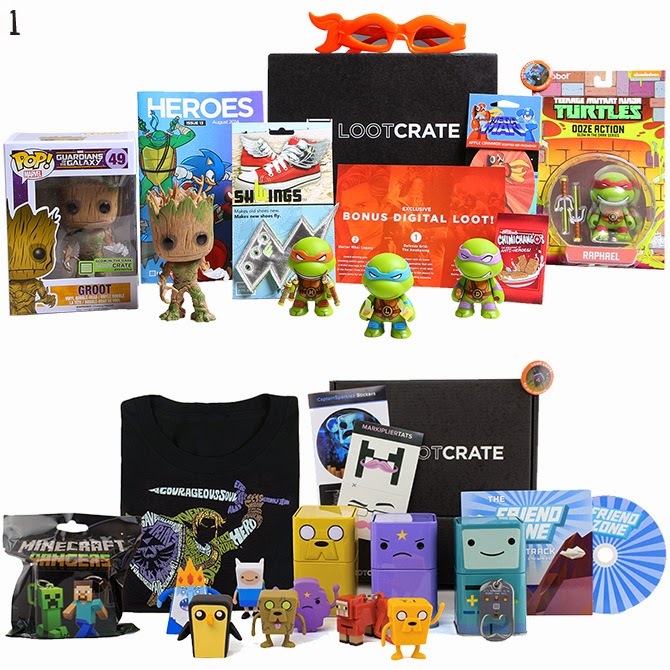 First, we categorize the recipient's "nerd type" - does he or she love a particular movie, TV show, video game, or superhero? 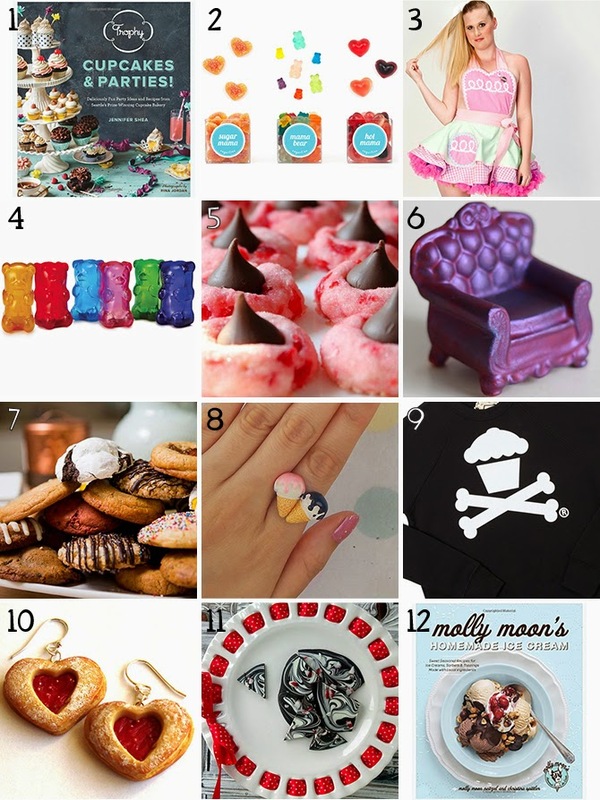 From there, I start hunting down gifts in those themes.Here are a few of my favorites from this year's search! I think I say this about too many things I post, but I really am super excited about this new gift guide series! Finding the perfect gift is one of my favorite things to do. I start by considering the recipient: what are they interested in? What are the products or hobbies they are most excited about? As such, I'm organizing my gift guides that way. 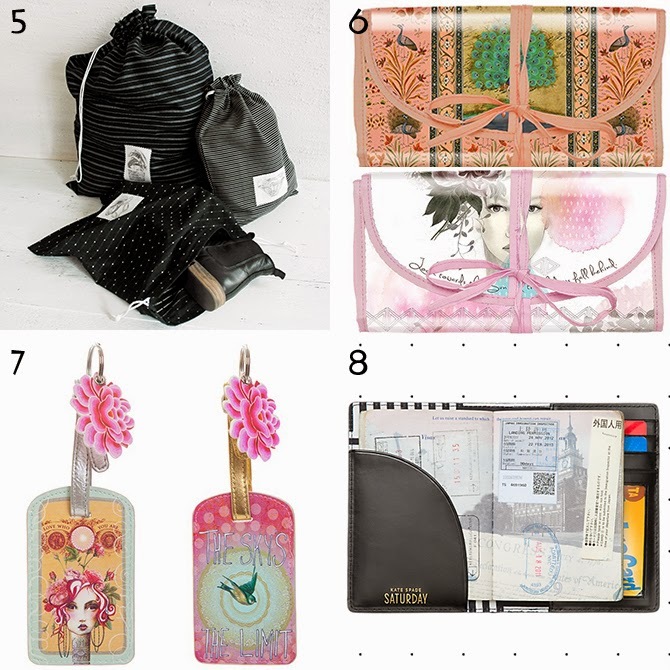 I have twelve gift guides planned - one per day, starting today! Wherever possible, I'll try to include products in varying price ranges, ones that benefit charities, and indie goods. Enjoy! 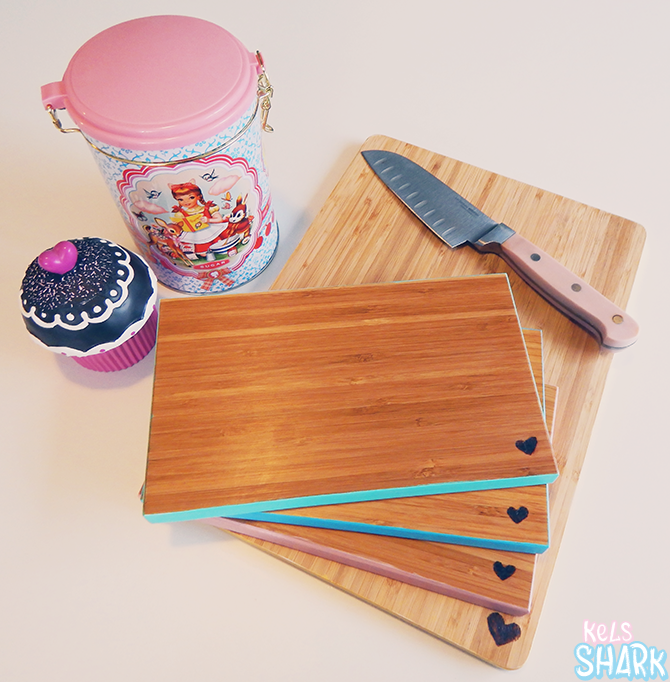 :) You'll be able to find all gift guides here. The holidays are approaching! 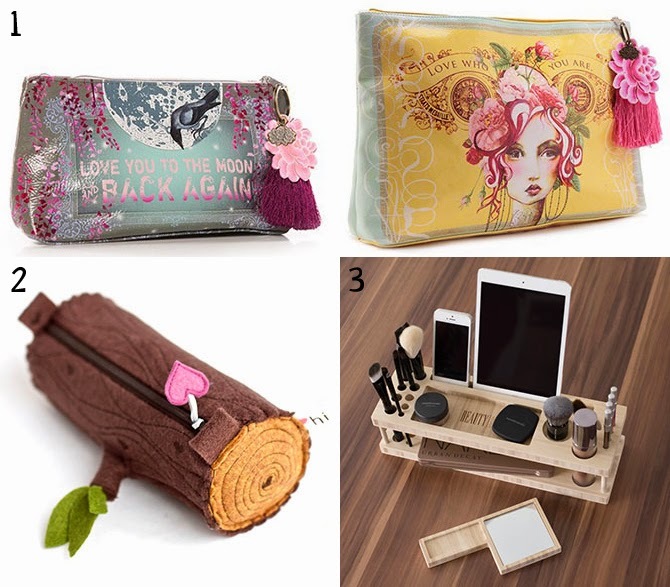 I personally love picking out or making the perfect gifts for friends and family. However, I know a lot of people find gift giving stressful rather than fun. Chances are, at least one person in your gift exchange circle would rather just get you something they already know you want. Why not make things a little easier for them and keep an updated wish list that you can send on request? I love browsing online and tend to keep a lot of personal wish lists just so I can keep track of things I like. It was only recently that I thought to send them to anyone, after receiving a few queries. Here are a few ways you can keep a quick and easy wish list! I used to hate leggings. Never understood the appeal for years and years. That is, until last year, when I discovered ZIB and realized that leggings don't have to be boring! Enter: new world of possibilities. I've mentioned (i.e. confessed my undying love for) ZIB before... and in case it wasn't clear then, I think it's safe to say that they're my biggest Etsy clothing shop obsession. Baby Shower Themed Basket + Banner Project | Baby Bath Time! Yesterday was my friend's baby shower for little Jonah, due in January! I love picking out gifts and thought hard about what to get for baby Jonah. :) I ended up going with one of my favorites: themed gift basket with a personal touch! Scrolling through their registry, I thought it would be cute to put together a baby bath time gift basket. And I figured, why not include a functional "basket" as well? 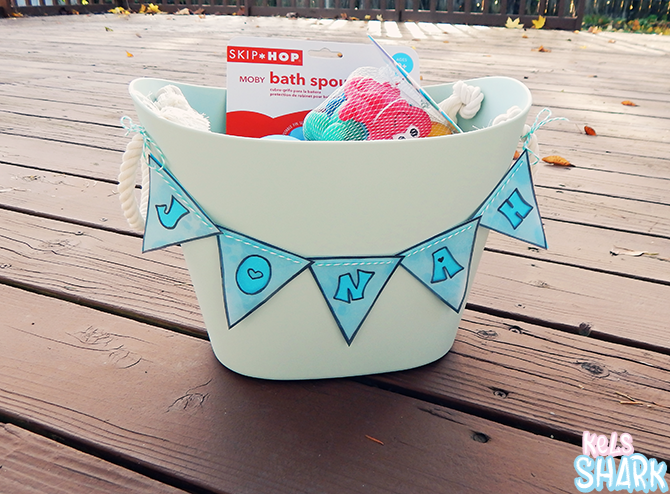 This pretty balcalore basket in pastel blue is adorable and waterproof, so it could actually be used to store Jonah's bath toys! I picked out a few bath items from the registry that would fit in the basket (though one, unfortunately, came in a big box, so I had to wrap it separately). Then I tried to figure out how I could add a personal touch to the gift. It's nothing revolutionary, but I decided to go with a removable mini baby banner! 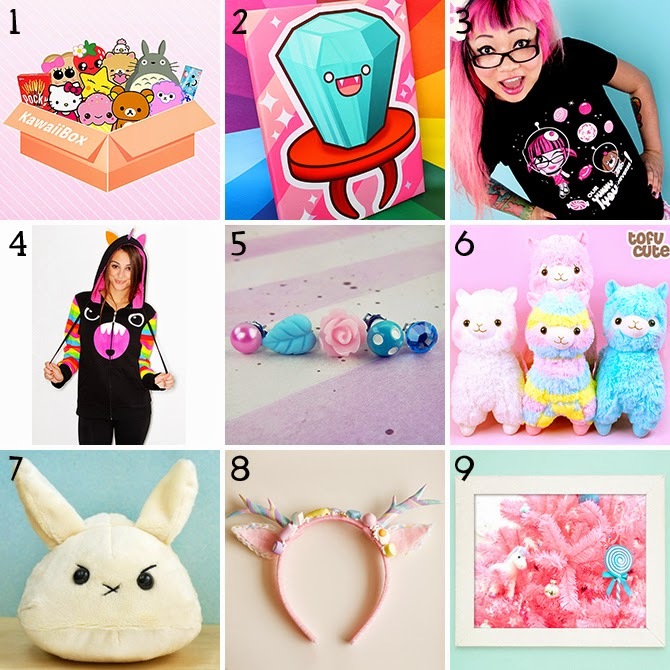 Shana Logic is my favorite online boutique, full of cute and quirky indie goods. I came across SL around five years ago and have since had a dream/life goal of someday selling my jewelry there. Shana and I became friends a few years ago and she is completely awesome! Shortly after I opened my shop, she messaged me to let me know she'd be happy to carry Kelsea Echo pieces in her shop. I nearly had a heart attack from happiness! The pieces are slightly different from what I have available on my website (and some of the designs are sold out in my shop). 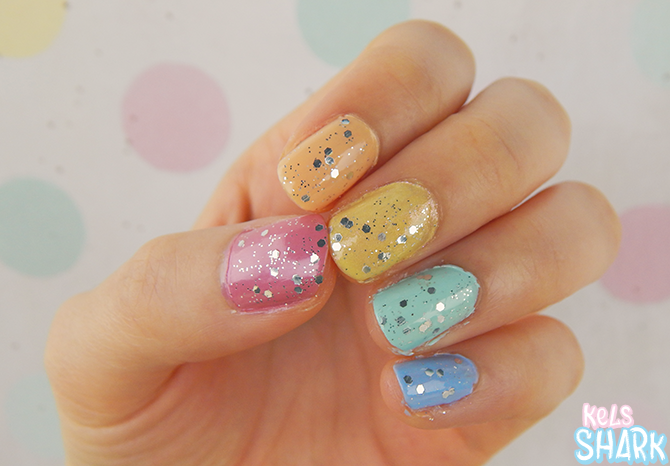 Check out the collection here! It's actually somewhat convenient, because then I don't feel like I'm basically incapacitated for too long. But then, inevitably, I eventually need to leave the house... and realize only half my fingernails are painted. Awkward. So then I scramble to finish painting the other half before I head out, hoping like heck I don't mess up the new nails. It's all very logical and efficient. Hah. I've been wanting to start doing some type of "finds" blog series for a while now, since let's face it - I spend way too much time window shopping and would like to pretend it's somewhat useful time spent. Mwahaha. A recent hunt for oversized sweaters (that won't drown my 5'3" frame) got me thinking - I usually go through the buying process by first picking a type of item I want, then looking for it. So why not organize "finds" posts into shopping guides specific to certain types of items? I'm always paranoid I'll set a clutch down somewhere and lose it and I stopped carrying short-handled purses a while ago because they annoyed me. Plus, keeping my purse small encourages me not to lug around 20 items I never use anyway. Crossbody has been my style of choice for some time and I've seen a lot of adorable, themed purses pop up lately. Of course, that may also be because I've been composing my wish list for the upcoming holidays. Heh. Here are some of my current favorites! Some are not labeled crossbody but convert to longish straps, which is good enough for me. :) These would also make great gifts, since you don't have to worry about sizing (one thing I like about gifting jewelry and accessories).